Special Containment Procedures: As it is impossible to relocate and contain SCP-072-TH in the Foundation's facilities, current containment efforts are focused on isolating ███████ Island. Outpost-72-TH has been established on a nearby island. Security personnel are to turn away any civilians approaching the area within 2 km radius from the island. At least one combat team with heavy weaponry must be stationed in Outpost Site 72-TH at all times in case of an SCP-072-TH attack. Seabed vibration sensors have been installed around the island. Any personnel wishing to approach the island within 100 m require written permission from the project director. 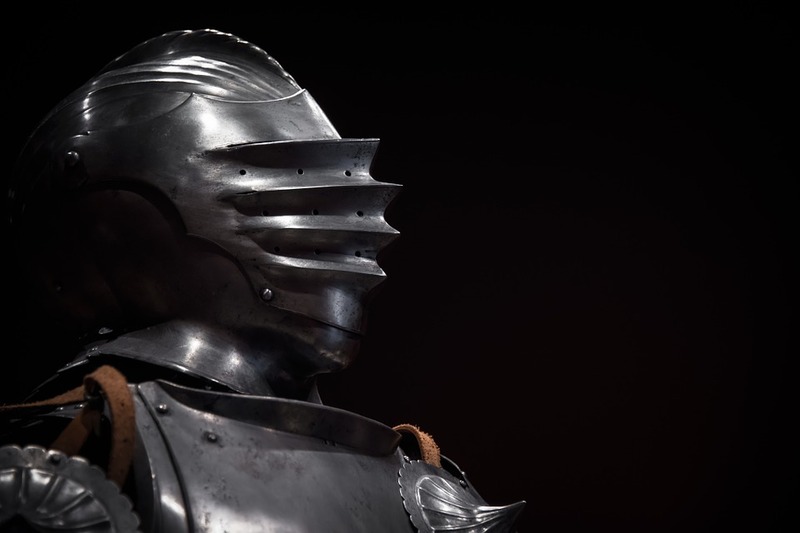 Description: SCP-072-TH are a group of animated full plate armors similar to 13th century knight armor. As the Foundation is unable to subdue or neutralize SCP-072-TH and due to the objects' hostility, currently there is no sample of SCP-072-TH in the possession of the Foundation. Although all instances of SCP-072-TH appear to be empty, they can move on their own with surprisingly high agility and speed, consistent to a human of similar size who practices athletic activities on a regular basis. They also have higher strength than humans. SCP-072-TH is much more durable when compared to non-anomalous steel armor of same design. Although high explosives and heavy bludgeoning can cause the armor to be badly dented and firearms being able to penetrate them, the Foundation is so far unable to cause enough damage to break even a small part out of the armor. They can move with full efficiency regardless of the damage. There is a hypothesis that each instance of SCP-072-TH is a unique entity. Their current numbers are unconfirmed, but estimated to be at least 40 instances. It was initially believed that SCP-072-TH can restore damage on their own, but tracking a damaged suit with a remote device indicates that they keep reserve armors within the castle and SCP-072-TH can transfer its anomalous properties from the damaged armor to a reserve. It is unknown what happens to the damaged armor. SCP-072-TH is capable of speaking in an unknown language. All attempts to communicate with them ended in failure. It was noted that SCP-072-TH never uses vocal methods to communicate with each other, yet they display the ability to work as a team. There is a hypothesis that SCP-072-TH are not sentient and their speech is merely an automatic warning message. SCP-072-TH has combat skills comparable to a trained soldier, and is known to use tactics including usage of traps, set up of ambushes, and using guerrilla tactics by taking advantage of the environment. SCP-072-TH were armed with only a broadsword initially, but are found using other medieval weapons since Incident 072-TH-B. The weapons used by SCP-072-TH have a hardness anomaly similar to the armor itself. Prior to Incident 072-TH-B, it was possible to make limited exploration using an aerial drone as SCP-072-TH would ignore it unless the drone would attempt to get into the castle, at which point SCP-072-Th would chase it off. This made it effective to survey most of the island including the outer wall of the castle. However, SCP-072-TH has aggressively attacked aerial drones since Incident 072-TH-B, as well as destroying all remote survey devices. There is no report of SCP-072-TH getting into the body of water surrounding the island, although they were observed to patrol or stand guard near the coast. Discovery: SCP-072-TH was first discovered in Castle ██████████████, a tourist attraction on the ███████ Island after a report of missing tourists during a tour trip. The local officers proceeded to search the location and discovered an undocumented secret passage. The search team encounter SCP-072-TH afterward, resulting in █ casualties among the castle's staff and officers. An embedded agent within the police department informed the Foundation with a report of how they were attacked by animated armors. After an investigation team had confirmed the anomaly, ███████ Island has been declared a dangerous area in cooperation with the government, with a cover story of unstable underground rock formations and toxic gas leaks. All casualties had suffered from the gas's hallucinogenic effects and killed themselves. All witnesses have been administered amnestics and released. According to official records, the ███████ Island was used to imprison persons of significant status during the period of the Middle Ages, including individuals accused of practicing black magic. It was abandoned until it was recently renovated for tourism purposes less than a year before the discovery incident. There is no record of anomalous activity prior to the discovery. ██/██/████: MTF-ค "Don Quixote" lead by Agent ███████ was assigned to the exploration of Castle ██████████████. The team was supposed to enter the castle keep by helicopter-drop as it's deemed to be safe from SCP-072-TH. However, the helicopter was shot down by a group of SCP-072-TH using heavy crossbows1. Three members of MTF-ค were rescued afterward, and they confirmed that other personnel were killed either by the crash or by SCP-072-TH2. During the escape, the Foundation rescue craft was hit by several bolts from a SCP-072-TH's heavy crossbow. Analysis of these bolts reveal that they're made from non-anomalous steel which is inconsistent to the damage upon the craft. There is a hypothesis that the anomalous effect of SCP-072-TH is either limited to the area around ███████ Island or SCP-072-TH themselves. The full report of Incident 072-TH-B is still in the compiling and review process. Afterwards, an aerial survey revealed that the wreckage of the Foundation's helicopter has disappeared although the crashing damage to the landscape is still visible. The possibility of SCP-072-TH utilizing heavy equipment such as a siege weapon or getting off the island by walking underwater is being considered. The containment procedures have been updated and a proposal to reclassify the object class is currently under review. 1. This is the first instance of SCP-072-TH using weapons other than swords. Since this incident, there have been reports of them using other weapons including lances, halberds, and flails. 2. Notably, according to their testimony, one instance of SCP-072-TH killed Agent ███████ by holding him in the Argentine Backbreaker position and pulled until he snapped. To date, this is the only record of SCP-072-TH using an unarmed combat technique.